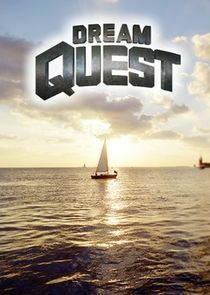 "Dream Quest" is about a group of eight "dreamers" who embark on an incredible journey that culminates in one player winning a chance to turn a fantasy into reality. The competitors face challenges that are designed to expose weaknesses and force each player to confront the obstacles standing in they way of their dreams. The players who make it to the season finale compete in three rounds of competition and land a once-in-a-lifetime opportunity to pitch their dream to the panel of celebrity judges. Only one person will win the game and be able to achieve their dream. A high school teacher wants to perform with a band on a cruise ship; birthday cake bake off.